If you are a delivery driver and were injured at work, call our Bronx personal injury lawyers today at (646) 647-3398 or contact us online. We do not collect attorney fees unless you recover money. 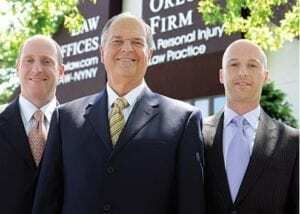 If you or a loved one has been injured in a work-related auto accident and you want more information on filing a third-party claim, contact the Bronx personal injury attorneys of The Orlow Firm. We help protect the rights of ALL New York workers.